The United Nations (UN) have backed an Olympic Truce resolution to be observed during next year's Winter Olympic and Paralympic Games in Pyeongchang. The draft resolution was presented to the UN General Assembly at their headquarters in New York City. Pyeongchang 2018 President Lee Hee-beom and Vancouver 2010 ladies figure skating gold medallist Kim Yuna, an ambassador for the Games, spoke at the Assembly. They called for the UN to support the resolution, entitled "'Building a Peaceful and Better World through Sports and the Olympic Idea". The resolution urges countries to give safe passage to all players, officers and officials participating in the Olympics, to have safe access and allow them to participate at the Games, as well as mobiliising youth around the world for peace. 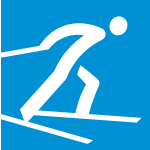 Lee claimed the Truce shows the organisers' commitment to opening a new horizon for winter sports around the world. He added that the collaboration between the Organising Committees of the next three Olympics, including Tokyo 2020 and Beijing 2022, provided an opportunity to build peace on the Korean Peninsula, northeast Asia and the world. The resolution was drafted under the initiative of the South Korean Government, with numerous UN members collaborating in the process. 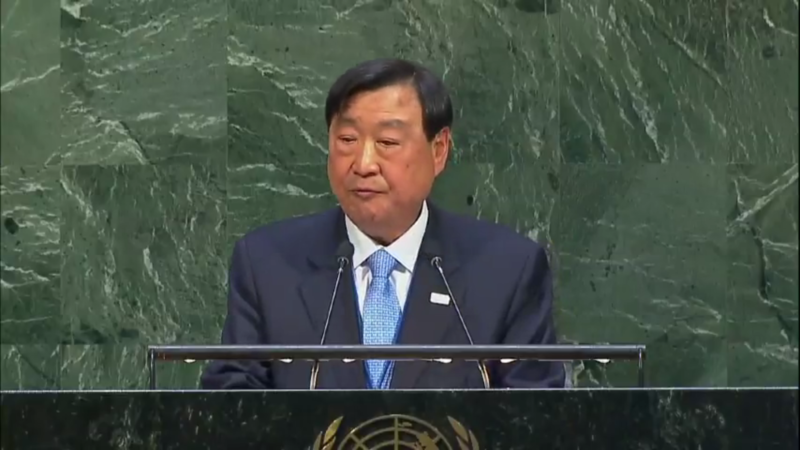 "I will make the Pyeongchang Winter Olympic Games a world-backed peace Olympic event with the adoption of the Olympic Truce resolution," Lee said. "We will also convey the message that the Pyeongchang Olympic Games will be held safely and peacefully all over the world. "The Olympic Truce is about the promotion of peace through sport. "We Koreans vividly remember the  Seoul Olympic Games, an exemplary example of showing peace through sport by bringing east and west together. "Sydney 2000 was another example, as with the support of the International Olympic Committee (IOC), athletes from both Koreas entered the Olympic Stadium under the same flag. "I believe the Olympic Games are the best expression of our values. "It was at this General Assembly last September that South Korea President Moon Jae-in expressed his commitment to achieving peace on the Korean Peninsula. "Taking this opportunity, I would like to assure you, once again, that the Organising Committee and the Korean Government are committed to a safe and peaceful Olympic Games. "We hope our joint action today will lead to a chain reaction for the promotion of peace within the region and beyond. "Together we are more powerful than any one of us alone." Backed by a Government delegation, including Minister of Culture Do Jong-whan, South Korean officials sought to reassure the UN of their commitment to ensuring the safety to the Games. Concerns have risen in the region following a series of missile tests by North Korea in recent months. Matters have escalated further by the increasingly threatening rhetoric between United States President Donald Trump and North Korean leader Kim Jong-un. 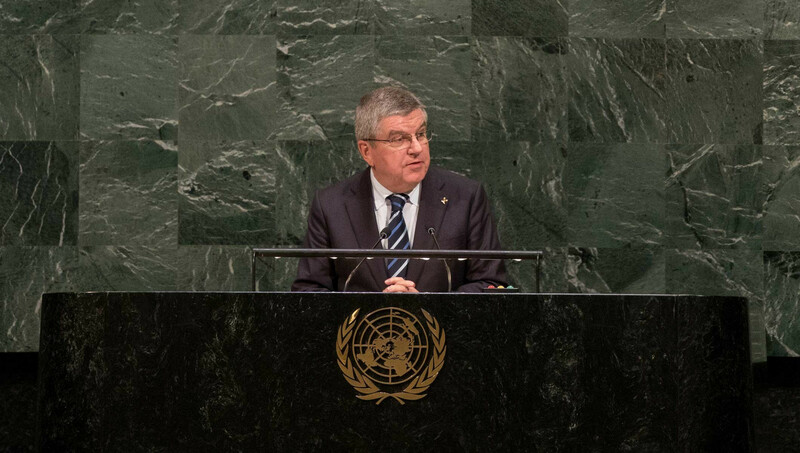 International Olympic Committee President Thomas Bach, speaking at the Assembly, called on the UN member nations to ensure the best conditions for athletes. “For the athletes who will gather in Pyeongchang for the Olympic Winter Games, this resolution will carry a special significance, a deeply personal one. “With the Olympic Truce resolution, the United Nation General Assembly is creating the conditions for all athletes to compete in peace. “Only the UN member states can guarantee the athletes a safe passage to the Olympic Games. “They make it possible for all the Olympic athletes to realise their dream of a lifetime. The Greek Olympic Truce tradition dates back to the eighth century BC, and has since served as a sacred principle of the Olympic Games. It was updated by the IOC in 1992 before they set up the international organisation Olympic Truce in 2000 to honour the tradition. The resolution calls for the Olympic Truce to be respected from seven days before the start of the Olympic Games in February 2018 until seven days after the Paralympic Games. It urges countries to use this opportunity to harness sport to foster and encourage concrete actions that promote dialogue and reconciliation during the Games and beyond. It is claimed the UN recognises the power of sport and the relevance of the Olympic Truce in the modern world by adopting the resolution. 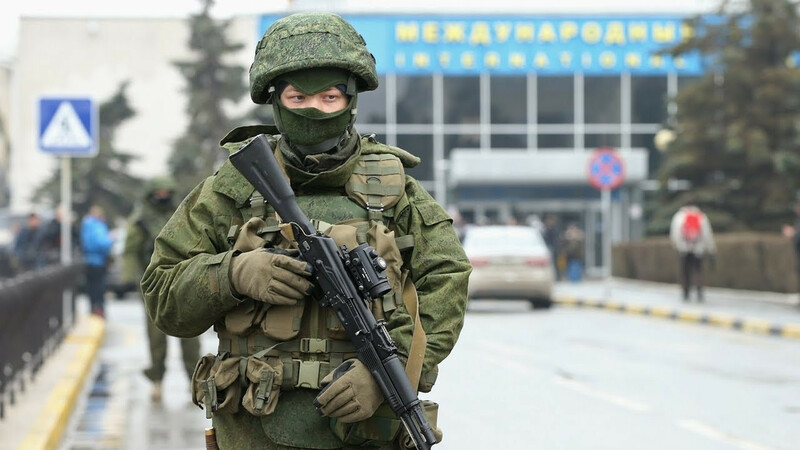 Despite the Truce, Russia entered Ukraine between the Sochi 2014 Winter Olympics and Paralympics. Dignitaries from several nations, including the Britain and the United States, opted not to attend the Paralympics in the Russia city due to the crisis in Crimea. The resolution can be accessed in full here.